Great personalized gifts for home or office decoration. Brushed silver frame offers an attractive background for your logo while matching any decor. 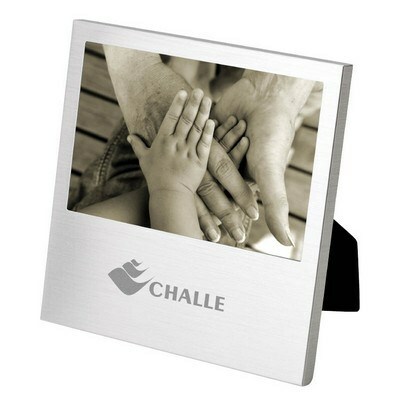 This Orso 6" x 4" Photo Frame are made from strong aluminum for a refreshing look. Includes a Dropped Bottom for showing off any picture. Displays one 6" x 4" memorable moment on their desktop or bookshelf with the easel stand at the back. You can easily insert your brand details to create customized giveaways for promotional events.